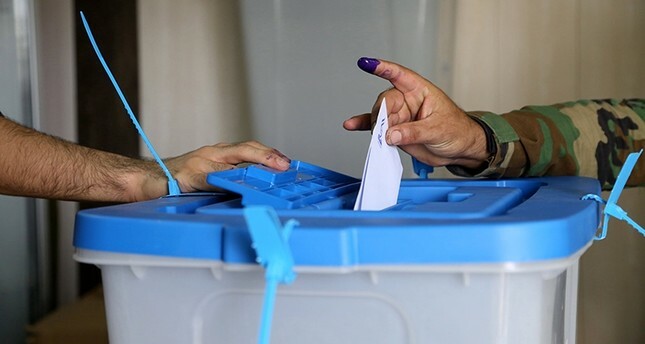 An Iraqi court on Wednesday ordered the arrest of the chairwoman and two other members of the commission that organized last month's independence referendum held by Kurdistan Regional Government (KRG), a judicial official said. The court in east Baghdad acted in response to a request from the National Security Council headed by Prime Minister Haider al-Abadi, Supreme Judicial Council spokesman Abdel Sattar Bayraqdar said. The court issued warrants against chairwoman Hendren Saleh and members Yari Hajji Omar and Wahida Yofo Hermez. It ruled that the three "organized the referendum in contravention of a ruling by the Iraqi supreme court," which had found the vote unconstitutional and ordered it called off. The KRG, led by Masoud Barzani, held a controversial independence referendum Sept. 25, despite widespread criticism from regional powers, the Iraqi central government, the U.S., the U.K. and the EU. Leaders who oppose the KRG referendum argue that Iraq's territorial integrity must be protected and that focus should be honed on the fight against Daesh, arguing that an Iraqi Kurdistan would compromise the stability of a unified Iraq and bring further chaos and conflict to a region already reeling from instability, civil war and political turmoil. The only country supporting the KRG vote has been Israel. Last week, Baghdad asked foreign countries to stop direct flights to international airports in Irbil and Sulaymaniyah, both in KRG territory. So far, Iran has been the only country to declare such an air embargo, halting direct flights to Kurdistan. Barzani's opponents have accused him of seeking to give himself increased powers through the vote, saying he should have accepted a UN-backed plan to postpone the referendum in favor of negotiations with Baghdad.